Capitale, a grandiose bank turned event space in Chinatown, NYC, with its 65 foot ceilings and Corinthian columns was the perfect location for the Closing Ceremony of the 2nd Annual New York Chinese Film Festival. Well dressed guests mingled in the spectacular lobby and were served hor’s d’oeurves before being seated in the ballroom for a luxurious dinner. Qi Jia, Vice President of China Central Television gave an opening speech about her sincere hopes for the film festival to further enhance mutual understanding between the US and China. John Gilbert, the Director of Music at New York University presented the first award for New Asian Director Award to Gao Xiao Song 高晓松 and Jiang Tao. 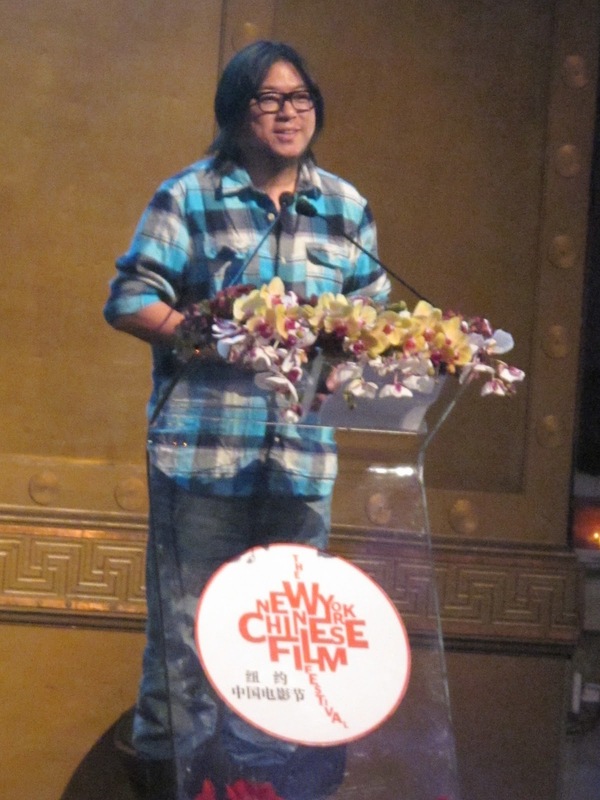 Gao Xiao Song expressed his surprise to receive the award because his goal was to make a commercial movie and his main focus was on the box office when directing his film, My Kingdom. Director Jiang Tao said that it was his first attempt to produce a commercial movie and felt that he still had a long road ahead and hoped to learn from his colleagues in Hollywood and Europe. 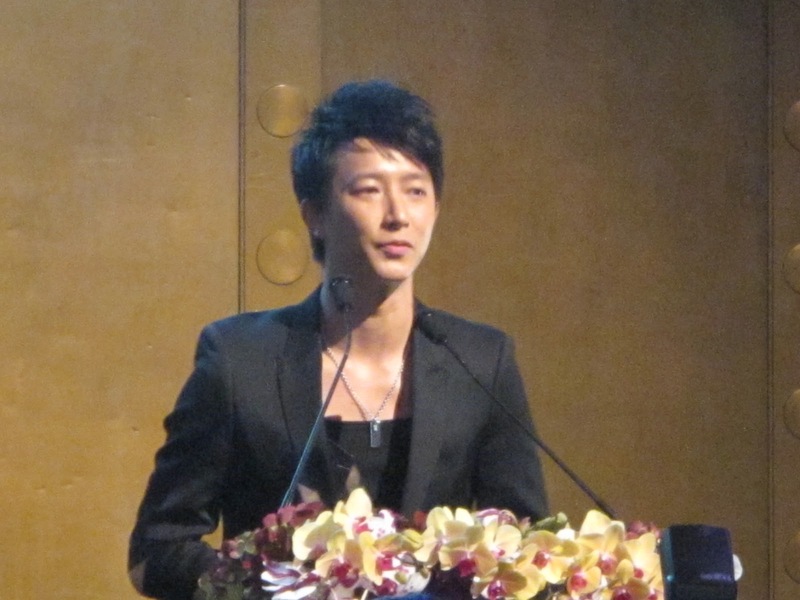 Actor Wang Bao Qiang 王宝强 and Singer/Actor Geng Han 韓庚 were presented with the Most Popular Asian Artist Award. 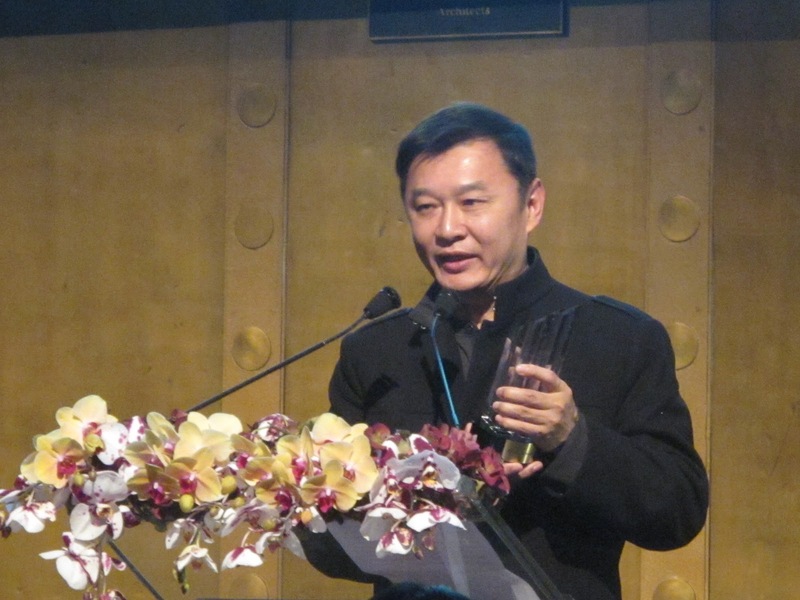 Mr. Wang humbly said he was accepting the award on behalf of his producer and director, because he felt that he alone did not deserve the award. 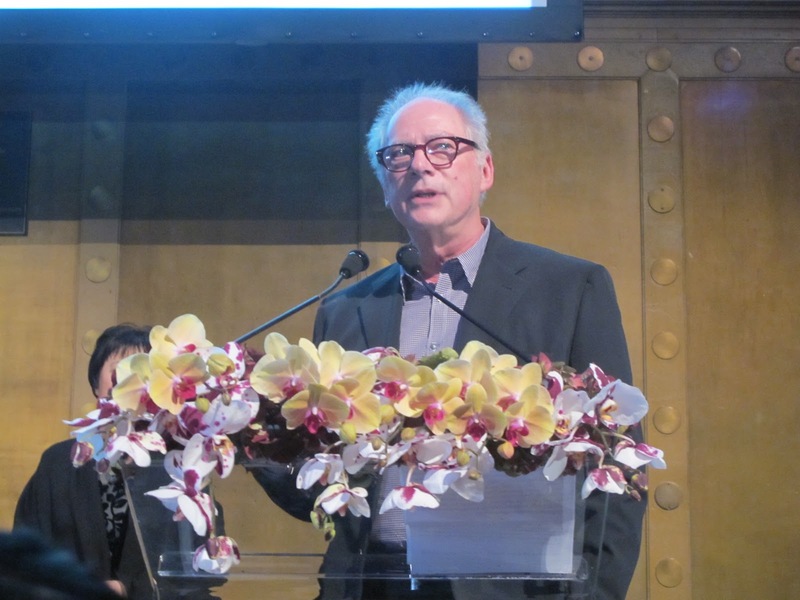 Director Barry Levinson (Rainman) presented famed Hong Kong Director Tony Ching with The Most Outstanding Asian Director Award, and talked of his admiration for Tony Ching’s strong personal vision. The quietly elegant Hailu Qin 秦海璐 was presented The Most Outstanding Asian Artist Award by Steven Orlins, chairman of the Committee on United States China Relations. Last but not least, Lawrence Scott, executive producer of PBS presented to and the effervescent and glowing Vivian Hsu 徐若瑄, who expressed her joy in receiving he Most Outstanding Asian Artist Award.